Edinburgh’s Central Library is boldly embarking upon a brand new chapter this week as work begins to adapt the building to fit 21st century needs and expectations. 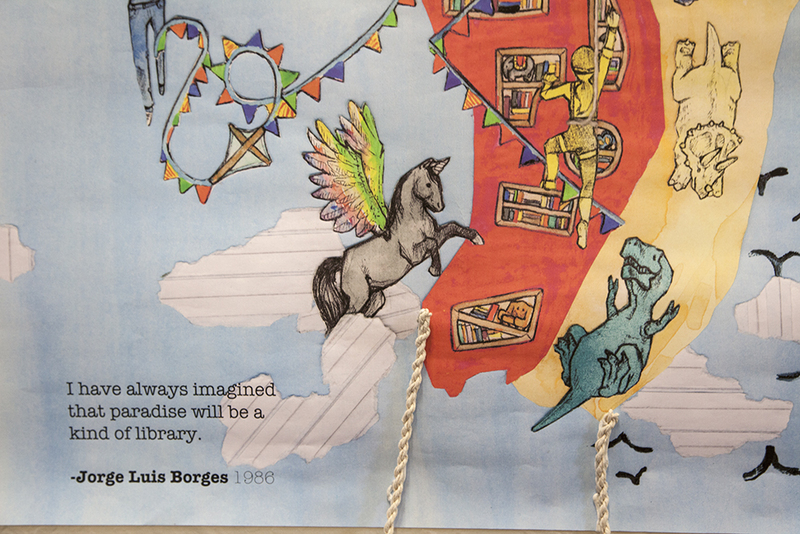 The “next generation” plans will see a variety of changes within the landmark George IV Bridge library, including improvements to the entrance hall, the introduction of self service facilities in the Lending library and the joining together of two of the Library’s most important collections, the Edinburgh and Scottish. Work is set to begin today (Thursday 31 March) to settle the Edinburgh Room’s collection in its new home within the area presently occupied by the Scottish Library, the part of the Central Library which has changed most over the years. 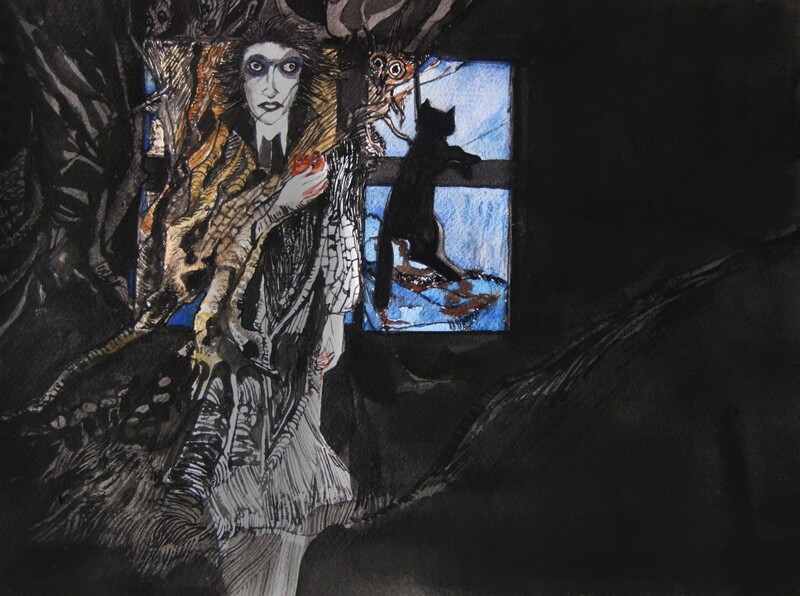 A number of options are being considered for the mezzanine space once the Edinburgh Room has relocated, including the possibility of it housing some or all of the Ernest Levy Archive. Edinburgh Central Library’s Susan Varga appeared on STV’s The Hour yesterday to appeal for help in solving some of the mysteries behind the unidentified photographs from our collections. 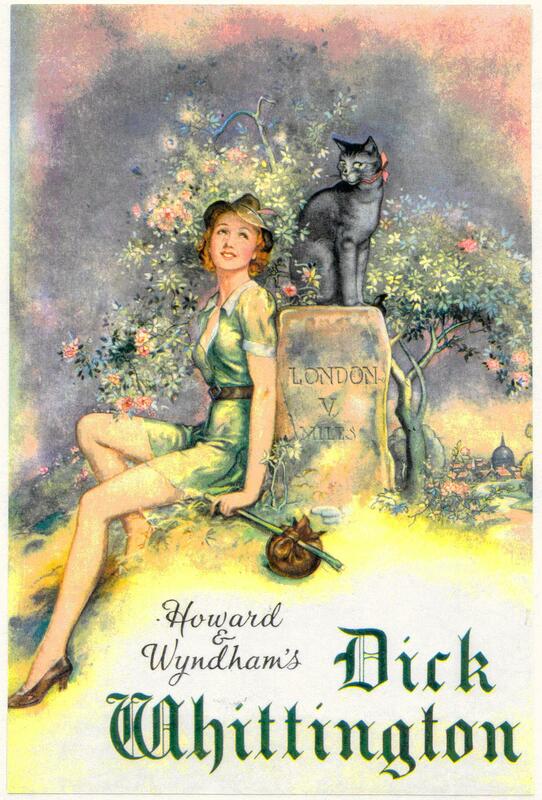 We’ve had an absolutely terrific response so far and several mysteries have been solved. Thanks to everyone who’s been in touch. There are still a few mysteries left however.. for example does anyone know where this is? If you do, let us know! In the 1861 census region of Edinburgh there were 295 families living in single rooms without any windows. In 2001 there were 79 people older than 100 living in Edinburgh. The number of students in Edinburgh increased 114 per cent between 1991 and 2001. The 2011 Census on Sunday 27 March will shape the lives of everyone in Scotland. It gathers information which helps to plan and provide our future services, like housing, hospitals, schools and of course libraries. You can read more about this year’s census on the Scotland’s Census website. Monitoring population and housing trends to help plan future public service needs. Distributing government programme funds to local communities, such as ethnic or disability groups. Historical data used to research family and community life more than 100 years ago. The census is useful for family history research because it gives you information on names, ages, jobs and place of birth for all the people who were in a house when the census was taken. If you’re interested in using historical censuses for family history research The Edinburgh Room and Scottish Library have a large number of Scottish census records from 1841-1901. Staff can provide you with advice and help using the census records. Some worldwide census records can also be accessed through Ancestry, available to use for free in all our libraries. Today marks the birthday of Sigmund Neuberger, or the Great Lafayette, as he was better known. Lafayette was a master illusionist, friend of Houdini and celebrity of his time. Lafayette died in the infamous Empire Palace Theatre Fire in May 1911. Crowds of people lined the streets in Edinburgh to see his funeral procession as his body was taken to be buried at Piershill Cemetery. You can find out more about the story of the Great Lafayette’s ill-fated visit to Edinburgh from the press cuttings collection and other memorabilia held in the Edinburgh Room at Central Library. 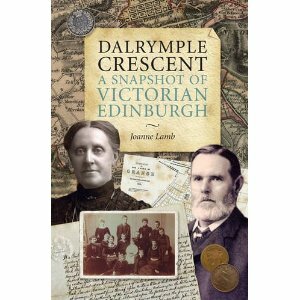 A couple of great local history events coming up: On Wednesday 2nd February at 7pm Joanne Lamb, author of Dalrymple Crescent: a snapshot of Victorian Edinburgh, will visit Newington Library to give a presentation followed by a book signing. This book tells the story of the building of the Crescent, and of the people who lived there; and puts it in the context of Edinburgh in the latter half of the 19th century. Find out how just one street can illuminate not just the history of middle-class Victorian Edinburgh, but also the wider history of Scotland at that time. (Contact Newington Library for your free ticket for this event). 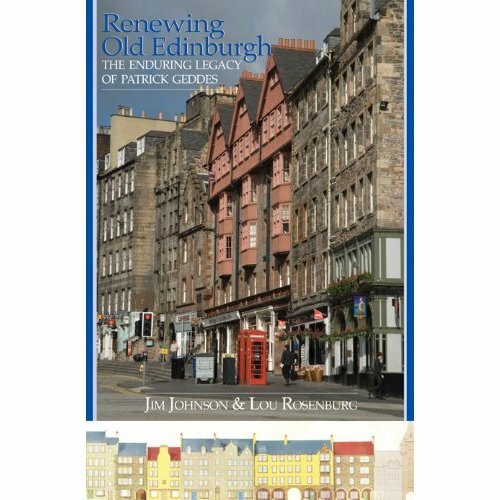 Renewing Old Edinburgh is a superbly illustrated account of the attempts to improve physical and social conditions in Edinburgh’s old town from 1860 to the present. Based largely on original research, the authors provide an overview on the history of the old town renewal with particular reference to the protracted struggle between two contrasting approaches – large scale redevelopment and the more incremental syle of intervention which the Scots polymath Patrick Geddes described as ‘conservative surgery’. 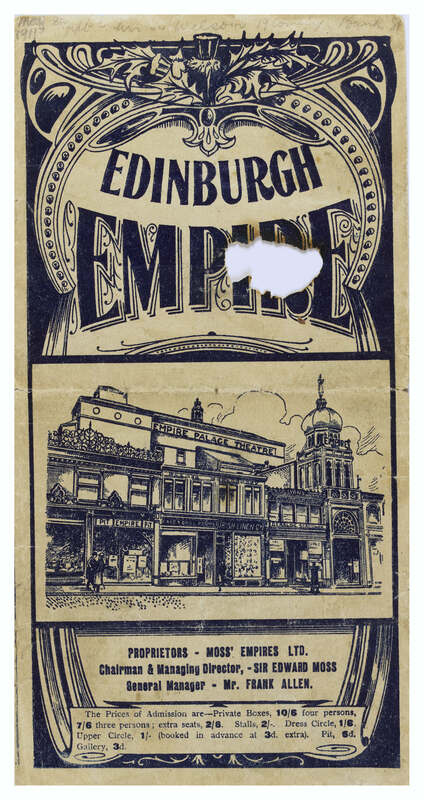 An exhibition of material taken from the Edinburgh Room’s theatre archive, charting our city’s long association with pantomime.